How do we support each boy? 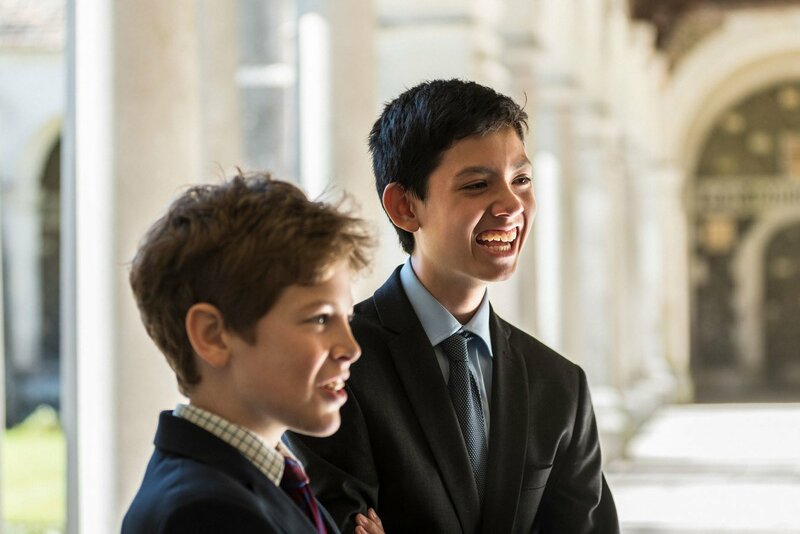 Throughout their time at Winchester, boys are supported by an extensive network of staff who are responsible for their emotional and physical wellbeing. This network includes all of the teaching staff, the majority of whom are house tutors. On joining the school, they are closely monitored to ensure that they are settling in to life at Winchester, with any early worries quickly spotted and addressed. The Housemaster takes primary responsibility for the pastoral care of every boy in his house. He has a detailed understanding of each boy’s life at the school, from his mental and physical health to his academic and extra-curricular profile. The principal role of the Housemaster is to help boys to find their place and to thrive within the school community. Housemasters are supported by an extended team, comprising house tutors, who come from a broad range of specialist academic backgrounds, a Matron, as well as a designated paediatric nurse from the school’s Medical Centre. The adults in each house are there to support the boys, and enable them to develop and explore all that the school has to offer. We have a fully-staffed Medical Centre, open 24/7 during term time, with a team of paediatric nurses and doctors available for advice, guidance and support. Our boys’ physical and mental wellbeing is maintained on a day-to-day basis, including up-to-date asthma, allergy and orthopaedic care. Boys also have access to a wide range of external services available through the school. The school’s Pastoral Support Group meets every week to co-ordinate the pastoral and medical care of pupils. The Group is led by the Second Master and includes Housemasters, Lead Nurse, Designated Safeguarding Lead (DSL), Deputy DSL, School Counsellor and College Chaplain.